I’m sure I’ve told the story before, but when I was young I wanted to be a paleontologist. Now, I didn’t actually care (much) about the whole digging up bones and hanging around museums… I assumed I would be more like Indiana Jones, arsing about unknown, long forgotten cities in search of relics and new specimens. I did read as many books about dinosaurs as I could get my hands on and I watched every dinosaur movie I could. As ropy as the effects always were, I was nevertheless enchanted by them and by the notion that these giant beasts ever existed. In 1993 Spielberg brought tears to my eyes with the breathtaking effects, excellent set pieces, action, stunts, of Jurassic Park. His film broke records and set a new benchmark for special effects, but throw in a brilliant score, non stop traditional Spielberg fun, a great cast, a rip-roaring story and many immediately iconic images and we have one of the most exciting films ever. Speaking of those effects, they were truly revolutionary and many of them still look light years better than those of today which have a habit of appearing too rubbery and fake – in Jurassic Park you assume you are seeing a real dinosaur brought to life while today’s blockbusters make you feel you are staring at an effect. For years, the esteemed Dr Hammond has been trying to make his dream come true – to bring back the most awesome creatures that have ever walked the earth – dinosaurs. Extinct for millions of years until now, when science has enabled us to bring back that which was once thought to be lost forever. Hammond and his team of experts have succeeded in not only creating life, but reversing extinction. His idea is to create a zoo for the animals which anyone can visit, but as these are wild and extremely dangerous creatures which cannot be trained or tamed, he needs feedback from other scientists and businessmen. He invites Dr Alan (Sam Neill) and Dr Ellie (Laura Dern) – paleontologists, and Jeff Goldblum – part philosopher, part scientist, part comedian. His young nephew and niece also come along, as well as the man who will be financing the park. Hammond shows them how he created the dinosaurs, leading to debates on morality etc but what everyone really wants is a trip around the park. So they go. Of course, things soon go wrong when Dennis, a man working for Hammond, decides to turn off the security in his attempt to steal samples for the black market. Soon the dinosaurs are loose, and the group is fighting for their lives. Each character is brilliantly drawn, and well acted. The variety of creatures is wide, and they all leap off the screen as if from our imaginations. The action flows fluidly once it starts, and there are many tense and scary moments. The first T-Rex attack has become part of our culture, but the tree descent, Raptor kitchen and chase are all equally spectacular and get your heart racing. I love the idea of splitting the central group, meaning we get to see the relationships between Sam Neill and the kids growing, as well as the banter between Goldblum and Dern. The deaths are pretty gruesome, but hardly over the top, but some parents may find them too scary for kids. Spielberg wisely keeps the science and morality to a minimum – it’s there, it’s briefly discussed, but we don’t get bogged down in the rhetoric, though the depth is appreciated. 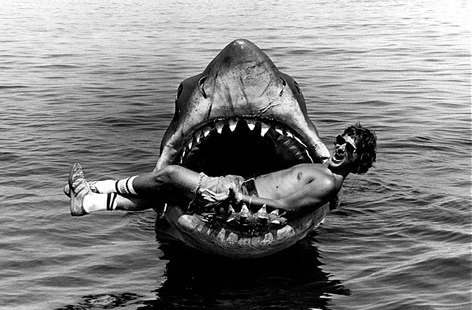 What matters is that Spielberg has created another masterpiece, the monster movie he wanted to make years before with Jaws, but didn’t have the budget or technology to do so. 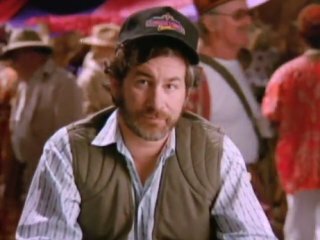 Make another one like this Spielberg, come on, we know you can. Let us know in the comments how you feel Jurassic Park has held up especially in the light of Jurassic World! The Abominable Dr Phibes: This is a nice bridge between the Monster movies of the pre- 60s era and the more intense stuff of the 70s onwards. Price is at his hammy best, chewing up the dialogue and relishing the inventive plot. It’s all about the kills and atmosphere here so older kids will appreciate the varying, often funny death scenes based on the biblical plagues. Some of it may be a bit too shocking for younger kids so make sure you are there if it gets too much. Classic Halloween Scene: The locust kill is hard to beat. The Birds: Hitchcock’s thriller may not pack the punch that it used to for adults but thanks some great ideas, strong performances, and inspired set pieces it can still work for an early Halloween viewing. The kids will love it and it may make them think twice about chasing a flock of pigeons in the park. Classic Halloween Scene: Tippi Hedren goes into the attic when every person watching knows she shouldn’t. The Blob: You could really go for either the 50s or 80s version as both are harmless products of their time, yet the story of some giant, unstoppable thing killing everything in its path retains its power to absorb the viewer. Both have aged horribly but therefore they make for interesting and humourous viewing for adults, but kids will be able to look past the funny hair as they wonder who will get eaten next. Obviously the modern version has the darker content with gore, swearing, and a more threatening nature. The 50s one though has Steve McQueen. Classic Halloween Scene: I’ll go for the kitchen sink scene in the 80s remake. Bride Of Frankenstein: James Whales most famous masterpiece is one which has kept audiences scared for 7 decades now, thanks to its creaky old atmosphere and timeless creations. Although obviously watered down with each passing decade, this is still a good introduction to scary movies for kids who will learn that the evil which lurks in the shadows can sometimes come stumbling out to get you. Classic Halloween Scene: When we first learn that The Monster has survived the fire from the first films and begins another rampage, killing two characters in quick succession. The Black Cat: Keeping with the oldies you can choose either the 30s original or 40s follow-up; both feature Legosi, and both are greats of the genre, although the 40s version of Poe’s story focuses more on humour while the original’s psychological and Satanic slant has ensured that it still has power today. Pairing Karloff and Legosi for the first time, your kids will be introduced to the first horror superstars and will get sucked in by the dark tale of rituals and creepy castles. Classic Halloween Scene: The basement ritual. The Fly: I wouldn’t advice letting your kids anywhere near Cronenberg’s vision- they’ll get to it eventually on their own time. For now you can let them learn everything they need to know about Science here (don’t mess with it). The story of a man splicing himself with a fly to create both a fly-man and a man-fly sounds utterly ridiculous but there are moments of brilliance here which make you forget all about the plot and watch the characters fight for survival. Classic Halloween Scene: For any spider haters out there, one scene here will stay in your head for weeks. The Fog: One of the great campfire spook stories, The Fog is still sadly underrated. Carpenter creates a wonderful atmosphere here which suits the season perfectly; even better if you’re near the sea or if there is fog around. Classic Halloween Scene: The introduction with the wizened old sailor sets the tone for the rest of the show, and should set the tone for your night. Ghost: Settle down, the kids won’t even remember the pottery scene, they’ll be too busy talking about and recovering from the scenes where the things come to claim the souls of the recently departed; the effects may be dated but the sounds, screams, and general idea remain terrifying. The girls and boys will both get wrapped up in the plot, whether it be the romance from beyond the grave or the revenge plot, while parents will revel in the genuine performances from all concerned. Classic Halloween Scene: When the spirits come for Willie. Ghostbusters 2: The first film may have the more obvious jump scares, but the sequel has Vigo The Carpathian who is creepy just by being a static painting. Classic Halloween Scene: The Titanic returns. 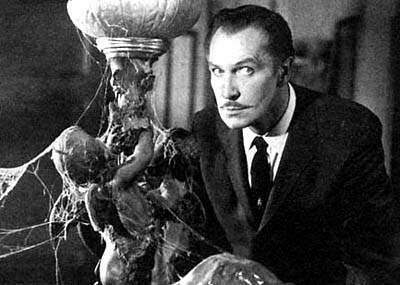 House On Haunted Hill: Gimmick king William Castle teams up with Vincent Price to deliver a camp horror classic. In many ways the plot mirror’s Castle’s own style with Price’s weirdo millionaire offering obscene incentives to gain an audience. The story is a nice twist on the ‘stay overnight in a haunted house’ archetype and there are enough old fashioned scares to please the family. Classic Halloween Scene: The skeleton coming out of the acid- for your Halloween party buy your own skeleton and try a bit of Castle gimmickry yourself. The Invisible Man: One of the best Universal Horror films, albeit one which has not had the same impact/amount of remakes as the more famous Monster films. Claude Rains ‘stars’ as a deranged scientist who goes on a rampage after discovering the key to invisibility. Strong effects and a creepy atmosphere ensure this is still strong watching today. Classic Halloween Scene: When the Doctor takes of his clothes and first reveals his gift to the locals. Ooh-er. The Mummy: Keeping with the Universal theme, why not make it a double with Karl Freund’s dusty, creaking classic. Or you could go with the modern, action packed Brendan Fraser effort, though it is more of an adventure film than horror. Classic Halloween Scene: Imhotep’s awakening. The Nightmare Before Christmas: I saw this at the cinema when it was first released, and quite a few families had to leave with their younger kids as it must have been too scary. In truth, I think it was the showing of Vincent at the start of the movie which freaked most out. The film itself pulls together everything festive about Halloween and Christmas and presents them with both childish wonder and Poe-esque darkness. The story, songs, and characters meld into an animation which kids of all ages should love. Classic Halloween Scene: When Oogie shows that he’s just a pile of bugs. 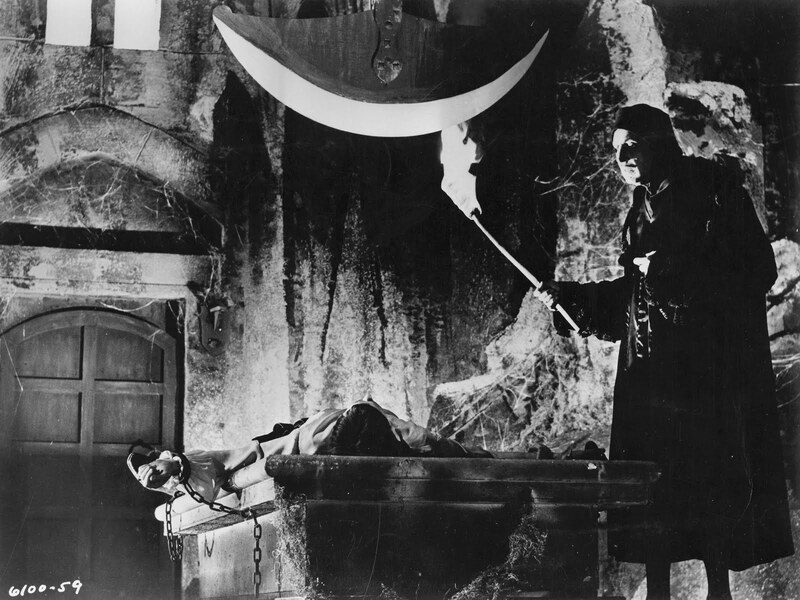 The Pit And The Pendulum: Arguably the best of the Corman/Poe productions, The Pit And The Pendulum has heaps of atmosphere, plenty of invention, and a top rate Price performance. Taking extreme liberties with the original tale, the film follows a man in search of his lost sister, a search which leads him to a foreboding mansion filled with torture devices, mystery, and strange characters. This one has plenty of shocks and a fair amount of genuine scares, so maybe keep the younger kids away. Classic Halloween Scene: When the ‘corpse’ of Elizabeth is first uncovered or the tense ending as the pendulum falls. Stir Of Echoes: Continuing with the Richard Matheson stories, Stir Of Echoes is a supernatural thriller which stars Kevin Bacon as a man who gains the ability to experience visions of the past, and his son who is able to speak to the dead. This is a good one for older kids and while low on obvious jump scares, it has an interesting plot and is more like a detective story with ghost elements rather than an all out horror movie. Strong performances, ghostly visions, great script, and watching Bacon’s slow descent into madness all increase the chill factor. Classic Halloween Scene: When the son is talking to his mum about the babysitter and he goes a little odd. The Thing From Another World: Carpenter’s remake is one of my favourite movies of all time and is the epitome of sci-fi/horror crossover. Due to it’s horrific nature though, it is not suitable for kids. For the same basic tale of paranoia, claustrophobia, and shadowy, alien evil, Howard Hawks’ original will do the job for kids at Halloween. The stark visuals, small cast, and threatening tone ensure this is still a classic. Classic Halloween Scene: When the team set The Thing on fire- great scare, awesome stunt work. The Wolf Man: Lets return to The Universal Monsters once again and visit the hit werewolf tragedy. Although neither the first Werewolf film by Hollywood or Universal, this was the first of Chaney’s installments and is probably still the best. Again, Universal strike a perfect balance between focus on the Monster and the human side, all filmed in glorious B and W. Classic Halloween Scene: When Chaney attacks the Gravedigger, his first victim. Wallace And Gromit- The Curse Of The Were Rabbit: After many succesful adventures (which are usually shown every Christmas in Britain) Wallace and Gromit enter the Halloween market with their take on werewolves, albeit changing to were-rabbits here. 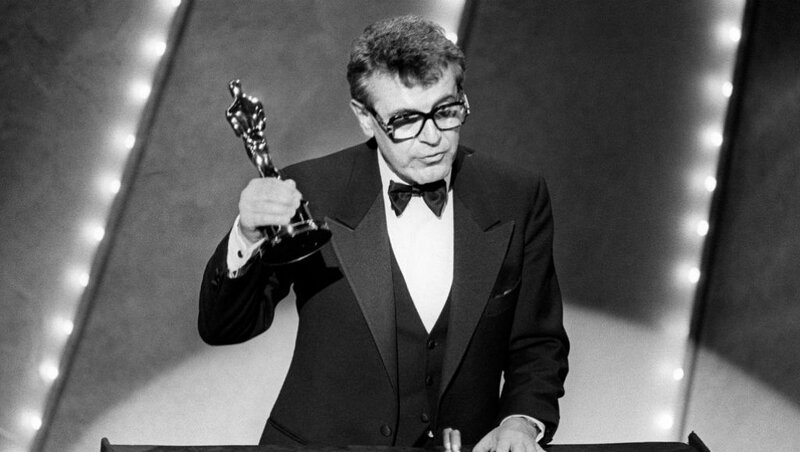 The film was a huge financial and critical success, picking up the Best Animated Film Oscar. Retaining the unique English charm of previous adventures, this is nevertheless accessible to all with its clever humour, fast pace, strong sight gags and set pieces, and strong voice cast. This is a gentle introduction to scares for the youngest children, but there is enough action and wit to please the whole family. Classic Halloween Scene: When the Reverend is attacked by the were-rabbit. The Monster Squad: This is another one of those films whose VHS cover freaked me out when I was young. This is more of an action comedy with horror elements which succeeds due to yet another brilliant Shane Black script and because of the love for the genre it spins. 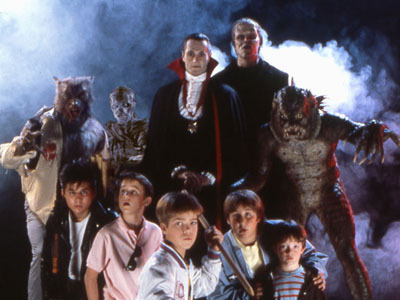 It’s another quintessential 80s movie featuring a group of savvy kids on an adventure, this time battling famous monsters like Dracula, The Mummy, and The Wolf Man. This retains a cult following, but wasn’t a smash on Goonies/Gremlins/Stand By Me levels. It’s another strong introduction to horror for kids of all ages, with plenty of gentle scares and a lot of action and laughs. Classic Halloween Scene: Any scene with Dracula’s ‘Daughters’ has a high freak-out quota. The Halloween Tree: What better introduction into the world of horror, and of Halloween, than this festive animated treat. Although lacking the big budget style of Disney/Dreamworks/Pixar type films, the film relies heavily on its script, backed up by a decent voice cast featuring Spock and writer Ray Bradbury. The story is set at Halloween, features a quartet of friends Trick Or Treating, and discusses the origins of Halloween and its traditions. 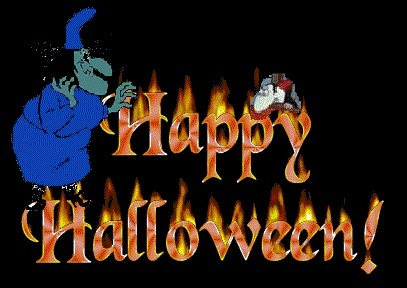 Kids will love the spooky costumes and settings and older viewers will appreciate the Scooby Doo nods. Classic Halloween Scene: Nimoy’s poetic description of the tree. The Sixth Sense: It may be too wordy and dramatic for younger kids, but the series of stand out scares will surely live on long in their imagination. The same should apply for older kids who will appreciate the plot, the performances, and the twists. Classic Halloween Scene: Under the table. Pan’s Labyrinth: Frequently described as a fairy tale for adults, I don’t see why kids can’t get in on the act; the film is gorgeous and depicts an all too realistic nightmarish world which their young minds will thrive upon, while the story will teach them that sometimes it is the people around us we should fear as well as the demons. Classic Halloween Scene: The Banquet table chase. Twilight Zone: The Movie: Spielberg, Landis, Dante, and Miller get together to make this homage to Rod Sterling’s classic series. Featuring 3 remakes and 1 original story, the focus is more on horror than the original series was, but the twists and ironic lessons are still in place. Each sequence is stronger than the one before, but each has its own charms and chills. Classic Halloween Scene: Miller’s final segment is a great remake of the original and packs some big punches (as well as having the always excellent John Lithgow). 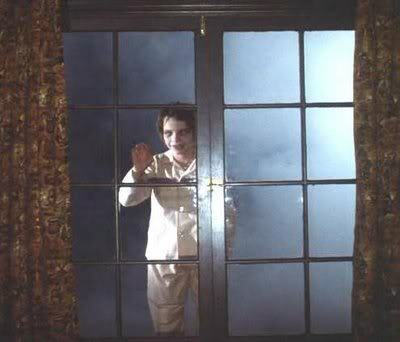 Salem’s Lot: Well, hello. This is probably the first film which led me on the depraved path to horror geekdom. It scarred me at the time, but they best way I could deal with it was by telling all of my friends and neighbours about it. Through this catharsis I realised that this horror stuff was pretty cool and my friends and I began to seek out more scares. For people of a certain age, this one will still have an impact. As far as realistic vampire movies go, there are few to beat this nasty one. Classic Halloween Scene: There are tonnes to choose from which darkened my dreams for many a night, but it’s difficult to top the first- Ralphie Glick comes-a-scratching at the window of his brother. The Gate: This frequently bizarre horror movie has plenty of 80s hallmarks- cool creature effects, heavy metal music, evil books, kids battling demons etc etc. A group of friends inadvertently raise a host of demons and subsequently have to do battle with them. This is a darker version of The Lost Boys but this cult hit is still waiting to be rediscovered by a new generation. Why don’t they make horror films with kids anymore?Classic Halloween Scene: When Al almost gets pulled under the bed by monstrous arms- bed scare scenes always get me good, dagnammit. Night Of The Living Dead: Few horror films have had such a long-lasting impact as Romero’s original. This is a must for all horror nuts and acts as a good gateway into the genre for viewers of any age; it’s smart, it’s terrifying, it’s brilliant. For younger kids this will be too much, but from around the age of 10 this is ideal Halloween viewing. The bleak setting, the black and white colouring adding to the tone, the isolated group dynamic which the imaginative child will link to their present situation, it’s all good. Spice things up by adding zombie make-up to the group. Classic Halloween Scene: The entire opening, from first second until Barb reaches the house. Silent Hill: Perhaps a bit too complex and horrifying for younger viewers, this should satisfy younger teens. There are some spectacular visuals on display, the night scenes are powerful, and there are plenty of big scares on offer. It’s just a pity the plot is quite messy. 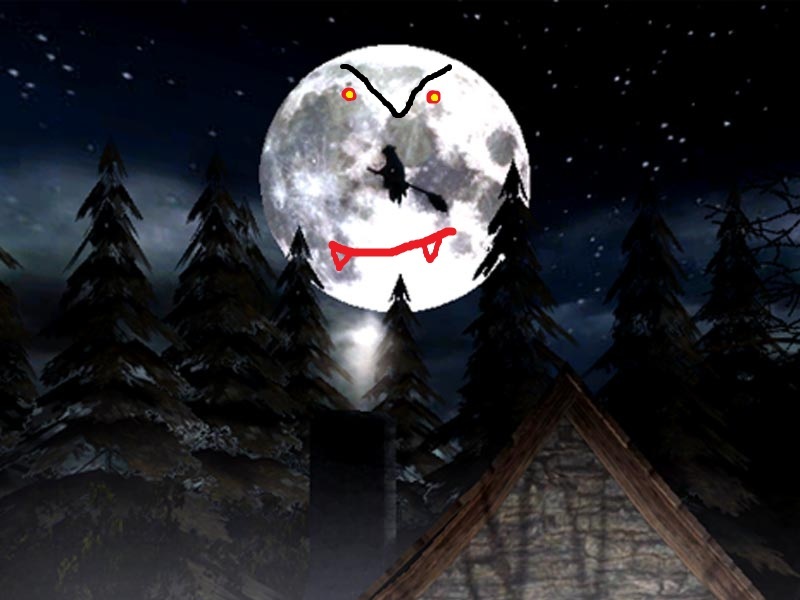 The dark depiction of the town should make your kids ventures outside at Halloween more interesting as they question the noises and shadows surrounding them. Classic Halloween Scene: Pyramid Head’s first appearance. Psycho: Why not break your children by subjecting them to the movie which broke the genre? Hitchcock’s mutha-luvin, lady-hatin, stabby creepfest has enough big scares involving scary houses, knives, and weirdos that all viewers will find something to be freaked out about. It’s one of the original behind-the-sofa watches, and 60 years on the power is still potent. Classic Halloween Scene: The shot of ‘mother’ strutting out of one of the upstairs rooms to claim another victim. 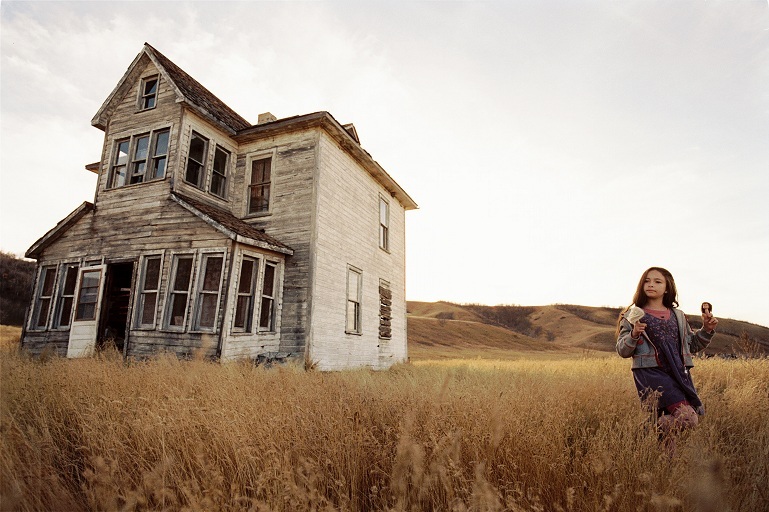 Tideland: Terry Gilliam’s massively polarizing film remains essentially unknown outside of the critical circle. For such a demented movie it is criminal that it made barely half a million at the box office- there is surely an audience out there for another twisted fairy tale, so it makes an ideal experiment for kids at a Halloween party. It may not make a lot of sense to them, but as is expected from a Gilliam film, the visuals are like nothing you will have experienced before with an invention sorely lacking in films of most genres today. Classic Halloween Scene: Any scene with Noah’s decaying corpse is both ghastly and tragic. The Omega Man: We end the list with another Matheson tale. Based roughly on his classic I Am Legend, this sees Chartlon Heston battling groovy hooded freaks rather than the terrifying and pitiful vampires of the novel. Heston was obviously a huge star and is able to carry the film on his own, but once the love interest is introduced things get messy. I’m still waiting on the definitive version of the story, but for an action packed siege film this has plenty of nice scares and no gore or swearing, so is suitable for all ages. Classic Halloween Scene: The wine cellar attack. As always, feel free to leave your comments: what did you think of my list- are some of the films too extreme for kids? Which films would you choose for Halloween family viewing, and which films haunted your youth? Indiana Jones And The Temple Of Doom- Crack That Whip! Liquorice Whip! ‘Save me Indiana, your our only hope!’ comes the eternal line from this Lucas classic. Dr Jones has been in 19th Century China for the weekend in search the famed Diamond of Chung –Sh- g’Argolarath. After an exciting chase through downtown somewhere Indy and his trusty companion Skid-Mark escape to a plane. Unbeknownst to them though, the plane belongs to Hitler and they are in for ein bumpy ride. Also unbeknownst to them, they know that Willy Fog- an ex of Indianopolis has stowed away on the plane also as well. Once the pilots have reached 300 feet (known in nautical terms as Terminal Velocity) they parachute out leaving the trio to plummet to their deaths. Indy and Diddy-Kong search the plane but unfortunately find there are only ‘four more parachutes!’ As there are four parachutes and 3 people this proves to be too confusing a mathemagical conundrum for them and they crash into the earth, dead. Awaking in the afterlife they find that they are stranded in a crazy nether region full of ‘vampiric’ bats and Induans. Dr. Johns sees this as a valuable archaeological study- if he can somehow bring himself back to life with some proof of this city of the afterlife then he will be a millionaire. Indy, Willy, and Side-Kick find a mountain village where all the children have been kidnapped or eaten by an evil sect of demons. They stole some precious God stones from the village elders and have been powerful freaks ever since. They plead with Indy to rescue the children and the stones, and in return they will send the gang back to Earth in time for supper. Soon they find themselves in a palace type fortress full of lovely food such as Monkey’s filled with snakes, snakes filled with monkeys, monkey’s filled with skunkies, and of course staples. Everything looks normal, or as normal as it can be for being a unique tomb of the abnormal. They investigate further and find a slave trade, murder, torture, and humane sacrifice. The main bad guy is called Kal Yer Ma and he delights in his demonic vestal rites, puling out hearts at will and hypnotising people at a glance. He throws Willy into a volcano, turns Mindy into a slave, and only Kick-Start can save the day. Suffice to say all this is very funny and excitement. There are the usual jokes, fights, and chases- the best being the mine cart ride where Diddy Kong keeps being stretched across the tracks. A fat guy gets crushed by a fat stone, spikes come out of ceilings, spiders and crabs and beasties crawl everywhere, and the finale is a big fight and chase in a tank across a rope bridge over a pit of croc infested lava. All in all this is the best Indymania film and I would suggest that you watch it with your eyes. Open. Best Scene: Trying to spot Dan Akroyd’s cameo in the film; look very closely in the scene with the bugs- he is dressed as a giant woodlouse.